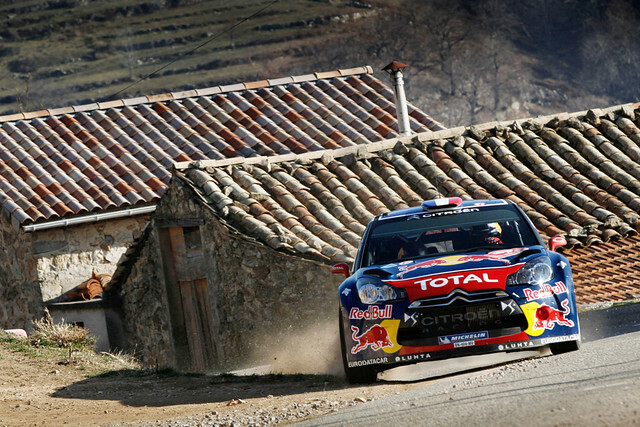 Axis Of Oversteer: Monte Day 2: Loeb in control, Ogier crashes hard! Monte Day 2: Loeb in control, Ogier crashes hard! The Monte Carlo Rally used to be a snow race but global warming has pretty much turned into a straight tarmac rally. Thursday, Sebastien Loeb consolidated his lead while Mini's Dani Sordo, who Spanish papers say took a 30% pay cut in order to get the seat, moved into 2nd followed by Petter Solberg in a Ford. Sebastien Ogier crashed his Skoda hard, a scary accident that luckily resulted in just a minor injury to his navigator, Julien Ingrassia. what i found strange is that the accident happened on the second loop, he'd already been on that stage, so big mistake by Ogier.